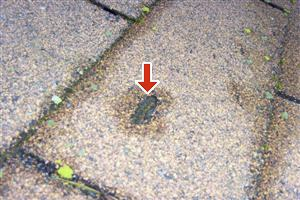 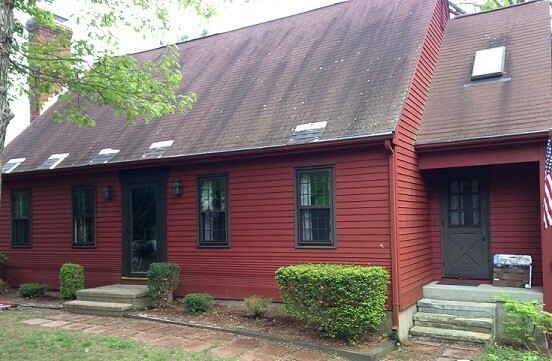 The original 3-tab asphalt shingle roof from 1979 had been covered by a second layer of asphalt shingles in 2000. 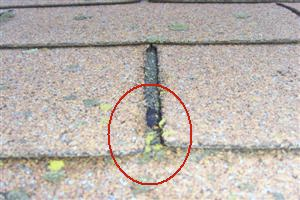 While the top layer of 3-tab shingles were still functional, the design life of 15 to 20 years was approaching and had likely been accelerated by the additional layer of shingles below. 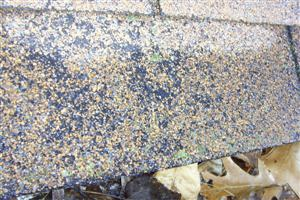 Several areas of the roof were displaying a moderate degree of wear with granular loss and some curling of the shingle tabs. 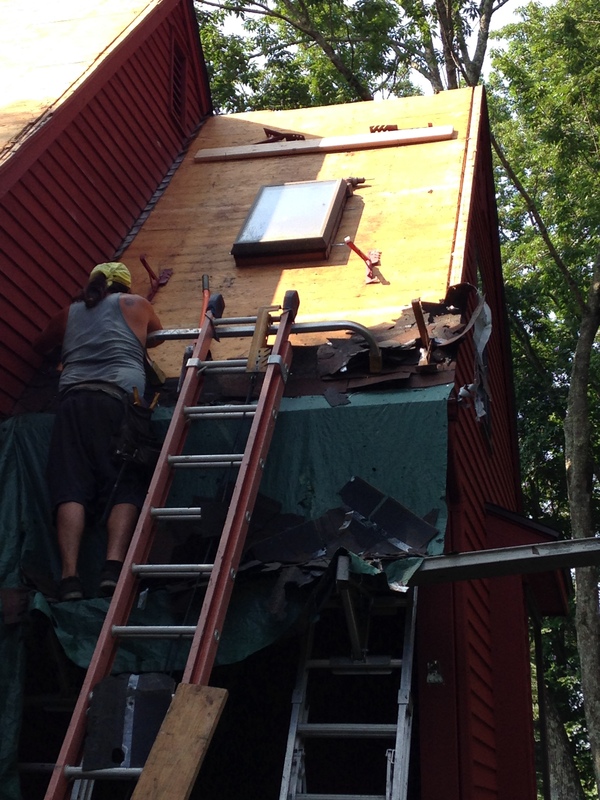 The replacement would require a full stripping of the house and utility shed prior to installing new lifetime architectural shingles. 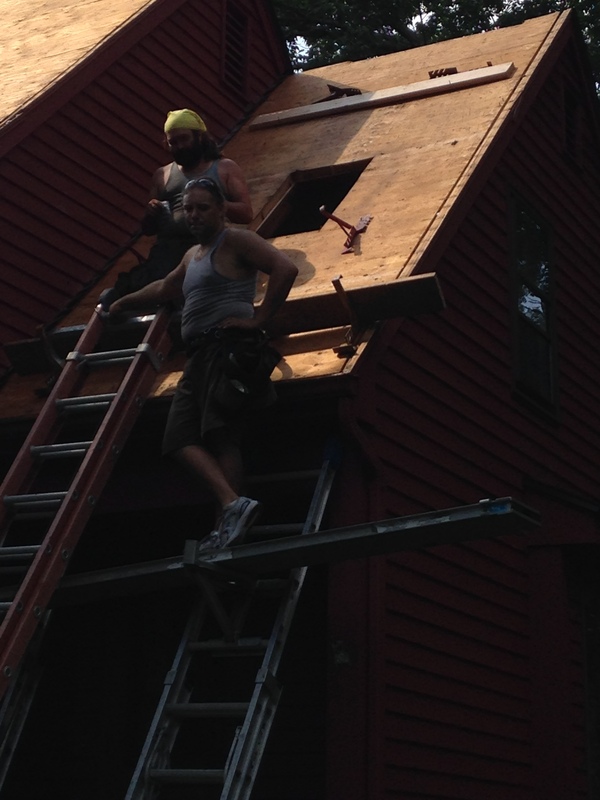 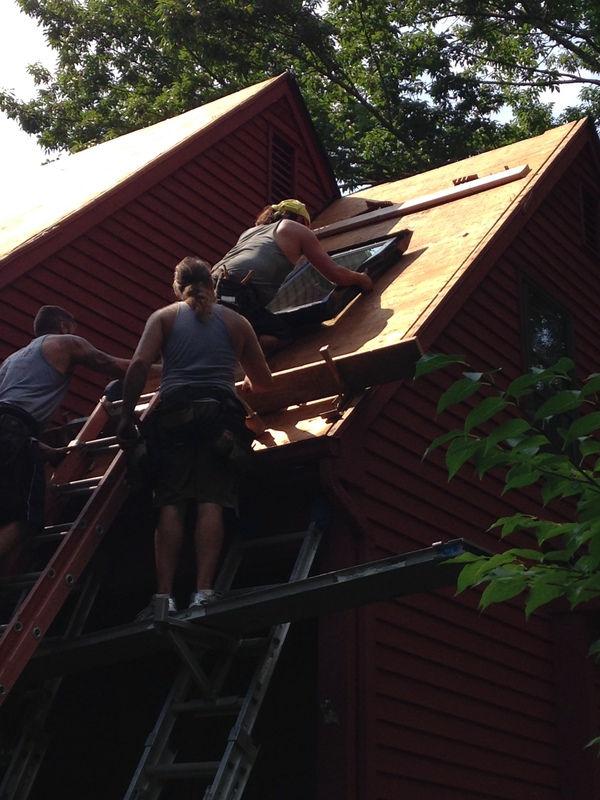 We decided to work with Sanville Remodeling, LLC of Hebron, CT as our contractor for the renovation and roof job. 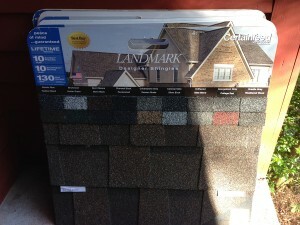 Mark provided several sample shingle boards giving us a variety of color choices for the architectural shingles. In the end we decided to go with a CertainTeed Landmark™ PRO series Lifetime shingle in Heather Blend. As mentioned in our previous blog post one of the upstairs bedrooms had an older Roto model manual venting skylight installed. 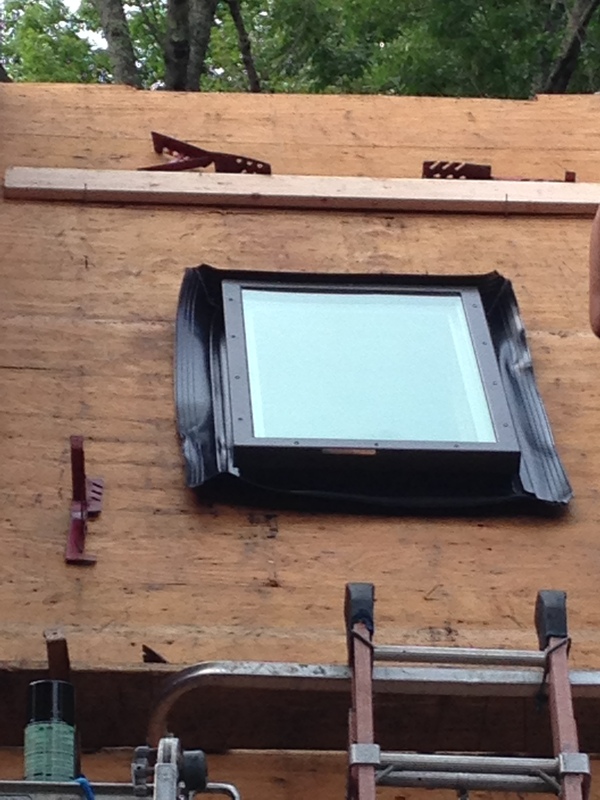 We decided to remove the old Roto skylight and replace it with a new deck mounted Wasco EV2238EMT. 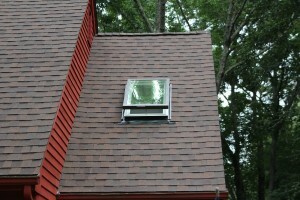 The decision to replace the old Roto skylight with the new Wasco skylight unit was a precautionary measure to prevent future water damage to the home if the old skylight was to fail (Note: water failures / leaking associated with skylights is usually caused by incorrectly installed and/or faulty/damaged flashing. A few hundred dollars can offers the comfort of ‘piece-of-mind’ knowing that a new Wasco skylight will be installed along with the new roof providing many years of protection from the elements. 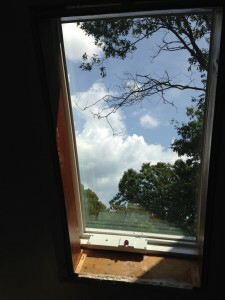 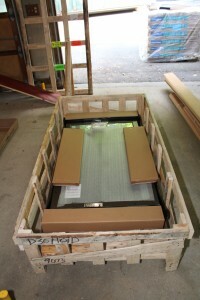 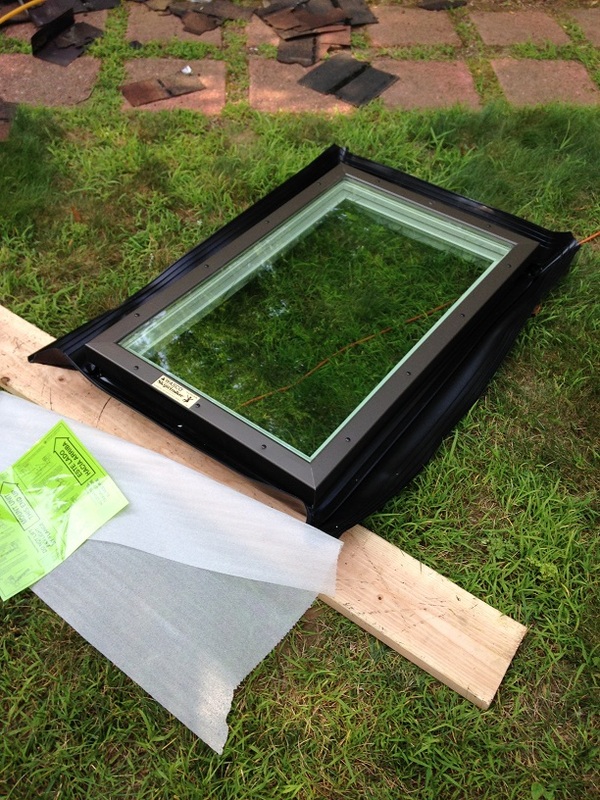 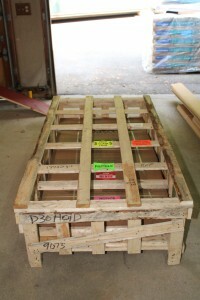 The new Wasco skylight arrived promptly via a freight carrier in a sturdy crate without issue. 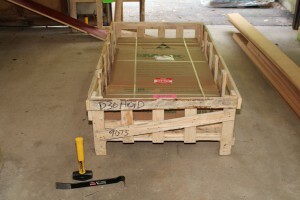 Hello from US Building Products! 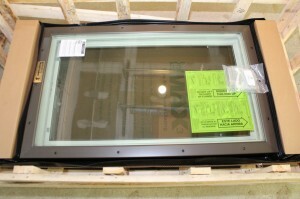 US Building Products is your premiere online retailer of Ferche Hardwood Moulding & Trim, Fairway Vinyl Railing Systems, PCA Products Aluminum Screen Doors, and Wasco Skylights. 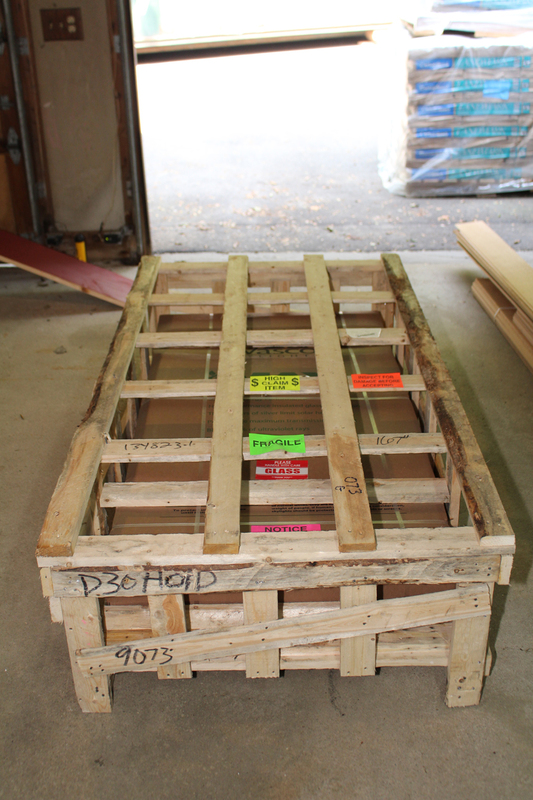 We carry the entire Ferche line, including the Ferche Decorator Series, Ferche Classics, and standard Ferche Moulding and Trim. Check back soon as we continue to add informative posts to our new blog!